London: Constable, 1909. Limited. hardcover. fine. Rackham, Arthur. Translated by Mrs. Edgar Lucas. Beautifully illustrated by Arthur Rackham with 40 mounted color plates with lettered tissue guards, and numerous additional b/w drawings. 325pp., thick short 4to, elegantly bound by Sangorsky & Sutcliffe in full crimson crushed morocco; gilt- decorated spine with raised bands; marbled end papers, uncut edges, t.e.g. London: Constable & Company, 1909. Fine. A gorgeous copy of this deluxe limited edition. Number 186 of 750 copies, signed by Rackham on the limitation page. Reminiscences of Abraham Lincoln by Distinguished Men of His Time. New and Revised Edition. New York: Harper & Brothers, 1909 - Octavo (217 × 132 mm). Contemporary red hard-grained half morocco, decorative gilt spine, top edges gilt, pink cloth sides. Contemporary bookplate with the initials W. F. G. Joints lightly worn, a couple of tiny scuffs to leather. An excellent copy. 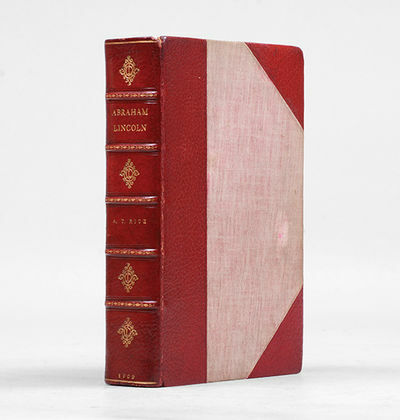 A handsomely bound, extra-illustrated copy, with a clipped Lincoln signature, and many additional portraits of Lincoln and his contemporaries. Also included is an autograph letter signed from the artist and engraver John Sartain (1808-1897) to the collector of historical portraits and custodian of the Lincoln Tomb at Oak Ridge Cemetery, Springfield, Illinois, Herbert Wells Fay (1859-1949), commenting on one of his steel engraved portraits of Lincoln ("the gentleman for whom I engraved it told me it was the best likeness extant"), dated Philadelphia, 24 March 1895 (portrait not included). More importantly, tipped to the engraved portrait frontispiece is the signature of Abraham Lincoln ("A. Lincoln"), a little faint but perfectly legible, on heavy paper (perhaps cut from a portrait as there appears to be a plate mark). An evocative piece that enhances this popular collection of memoirs, which was first published in 1886. P. F. Collier & Son, 1909. 1st Edition . Hardcover. Near Fine to fine. Early books copyright 1909, later books copyright 1910 complete 51 volume matching set, including the "Lectures" volume. Very nice, collectible condition. Spine has four gold, center raised spine bands, with additional top and bottom triple bands, bottom one enclosing "P.F. Collier & Son" between top two and bottom single band. Boards are a deep burgundy, with gold lettering on spine and Harvard crest on front cover in gold. Attractive, with no writing or markings that I could discern (there are 51 volumes, and there may be a stray mark or two, but it's tough to go through them all! they were well cared for, and I knew the previous owner was a bibliophile, so I don't think you will find anything untoward!) A very slight hint of wear to some board corner tips, and slight shelving wear to bottom spine corner ends. (no tears or any real usage wear, although some of the volumes have small shelving nicks in top edge of spine end. ).ALSO INCLUDED is the 1917 edition of the Harvard Shelf of Fiction, 20 volume set, in dark green with gold lettering. Pics available. Free shipping will be FedEx for US mailings (sorry, no out of country sales or priority mailing). All books will be individually wrapped and well protected/insured (probably mailed in two separate boxes). If you are "local" to the Pacific Northwest, you can certainly drop by and pick them up! The Works of Oscar Wilde. The Sunflower Edition. Complete in 15 Volumes. New York. Lamb Publishing Co., 1909. 8vo, 20.2cm, complete in 15 volumes, limited to 1000 numbered sets, this being #406, various paginations c. pp., with 62 plates including 15 photogravure frontis plates with captioned tissue guards, original pressed fine grain beige linen, crushed green morocco label, gilt titles and borders, t.e.g., a fine clean bright set, rare especially in this condition. 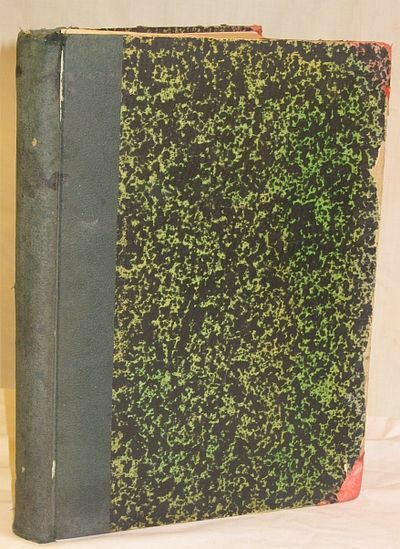 () Oscar Wilde's Collected Works; this edition is rarely seen complete. It includes: Salome; The Duchess of Padua; Vera Lady Windermere's Fan; The Importance of Being Earnest; Lord Arthur Savile's Crime; The Portrait of Mr. W.H., Intentions; What Never Dies; A House of Pomegranates; The Happy Prince; De Profundus; Dorian Gray; A Woman of No Importance; An Ideal Husband; Poems in Prose; Poems; Epigrams; Essays & Stories by Lady Wilde (Speranza); Essays, Criticisms and Reviews. Also included is "His Life with a Critical Estimate of His Writing". The illustrations in "Salome" are by Aubrey Beardsley.. Hardcover. , 1909. First Edition. Very Good. In 1909 The Heart of The Antarctic was produced as a Deluxe Special Vellum Binding Issue limited to 300 copies. The edition contained 2 sheets of signatures, 1 from the British participants (14 men) of the shore party and 1 from the Australian participants of the shore party (2 men). The sheets would have been singed prior to binding with some spares in case of accidents. This is one of the spares, a single unbound sheet of signatures of the British participants of the shore party, there is a crease where the sheet has been folded at some time. The signatures are all original. The signatures are of Shackleton, Priestley, Wild, Joyce, Day, Marston, Murray, Brocklehurst, Adams, MacKay, Armytage,Marshall, Mackintosh & Roberts. 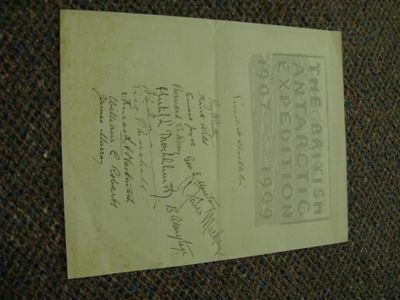 A rare opportunity to purchase a unique piece on Antarctic history from the "Heroic Era". Quantity Available: 1. Shipped Weight: Under 1 kilogram. Category: Arctic & Antarctic; Exploration. Pictures of this item not already displayed here available upon request. Inventory No: 3142. .
London: Mills and Boon Limited,, 1909. From the Play by Maurice Leblanc and Francis De Croisset. Octavo. Original black cloth, titles to spine gilt and to front board in red, small photographic portrait of the author to front board. With the dust jacket. Spine slightly rolled, edges lightly foxed; an excellent copy in the jacket with browned spine panel, shallow chips and tears to extremities, with repairs to verso. 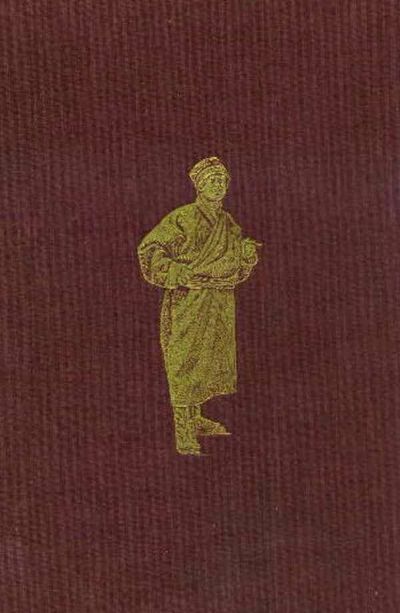 First edition, first impression, in the scarce jacket. 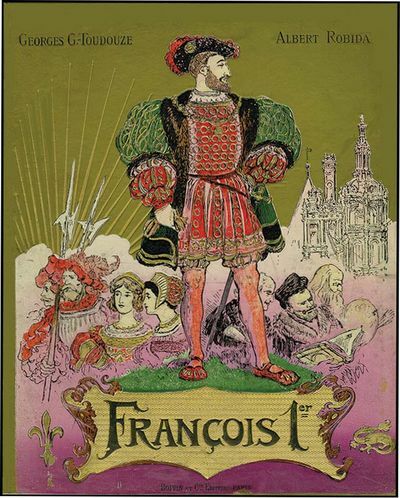 It was originally a four-part play written by Maurice Leblanc and Francis de Croisset, and subsequently novelized by Leblanc and published in French 1909, followed by Jepson's translation into English the same year. 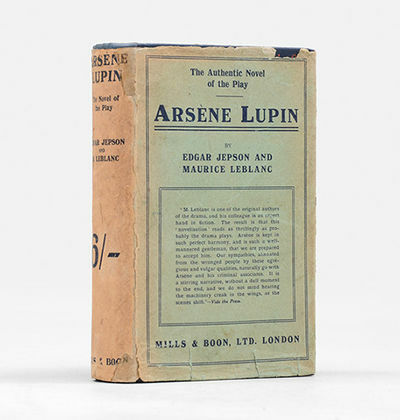 The first story in Leblanc's Lupin series, "The Arrest of ArsÃ¨ne Lupin", was published in the French magazine Je sais tout on 15 July 1905. 1909/10. 1909 - Album mit 198 lose eingesteckten Originalfotographien mit Bildbeschriftung (Bleistift), die Fotos im Format 8,5 x 13 cm (Bildausschnitt), Leinenalbum der Zeit mit Buchstaben-Applikationen aus Metall (&#132;Sued-See"), 25 x 37 cm, Einband etwas berieben und bestossen, die Fotographien meist in guten kontrastreichen Abzügen. Privates Fotoalbum aus dem Umfeld des deutschen Gouverneurs von Samoa Wilhelm Solfs (1862 bis 1936). Die Fotographien dokumentieren eine Reise in die Südsee beginnend mit Aufnahmen aus Port Said (27.4.1909), dann Manila, Neu-Guinea, Australien, Neu-Seeland (die erste Aufnahme von Solfs), Fiji, Tonga (Solfs mit König), dann ca. 100 Aufnahmen von den Inseln Samoas (Savaii, Upolu) mit etlichen Aufnahmen von Solfs und vielen stimmungsvollen Impressionen von Land und Leuten und dem kolonialen Leben (Villa Vailima, Schulklassen, Kolonialbeamte, Krankenschwestern, Frau Solfs mit Kind, usw. usw.). REMINISCENCES OF ABRAHAM LINCOLN BY DISTINGUISHED MEN OF HIS TIME. Harper & Brothers. New York. 1909. New and Revised Edition. Originally published in 1886. 8vo. (8.5 x 5.2 inches). An extra-illustrated copy, with a clipped original Abraham Lincoln signature mounted on the portrait page, and many additional portraits of Lincoln and his contemporaries. Also included is an autograph letter signed from the artist and engraver John Sartain (1808-1897) to the collector of historical portraits and custodian of the Lincoln Tomb at Oak Ridge Cemetery, Springfield, Illinois, Herbert Wells Fay (1859-1949), commenting on one of his steel engraved portraits of Lincoln ("the gentleman for whom I engraved it told me it was the best likeness extant"), dated Philadelphia, 24 March 1895 (the portrait is not included). Finely bound in contemporary red hard-grained half morocco, decorative gilt spine, top edges gilt, pink cloth on the boards. Roma: Cita Di Castello. Good with no dust jacket. 1909. First Edition. Hardcover. 283 pp + 1 fold plate + 16 plates (on 10 leaves) . Illustrated throughout with figures. In Italian. The first edition of this seminal book. Dark green 1/2 shagreen cloth with hard paper marbled boards. Spine is worn, joints starting to split at top and bottom, boards scuffed and rubbed at the corners. Old owner inscript on first blank. There is a label over the original publisher, showing M. Bretschneider, Roma, as the publisher (you can just make out the Cita Di Castello underneath) . Paper is bit toned throughout, some foxing and light grubbiness. One page with pencil notes in the margin, page 149 bottom corner torn (no loss of text) , sewing showing at the center of the book, bottom margin of 282 and 283 have short clean tear. Plates have foxing, first two pages of plates (which are photos of young students) are a bit rippled but this appears to be a natural process, not a result of damage. A bit aged but all present and presentable, a very scarce first edition of this important and world-changing text. ; 4to 11" - 13" tall; 283 pages . Max Klingers Radierungen, Stiche und Steindrucke. Wissenschaftliches Verzeichnis. London: Stanley Paul & Co.,, 1909. Octavo. Original red cloth, titles to spine and front board gilt. Monochrome frontispiece. Spine rolled and slightly faded, spine ends rubbed, tips lightly bumped. An excellent copy. First edition, first impression. Presentation copy, inscribed by the author on the front free endpaper: "N. Rendall, Esq. 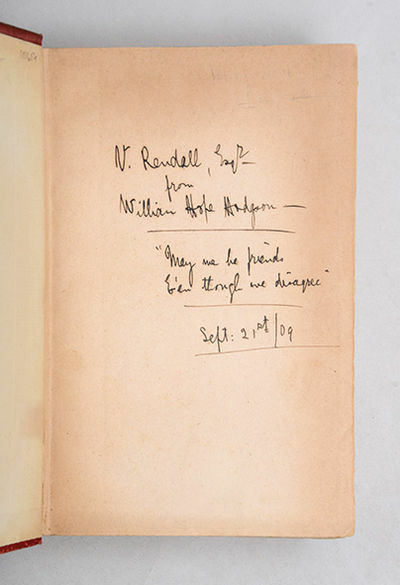 from William Hope Hodgson - "May we be friends e'en though we disagree". Sept. 21st '09." In the preface, Hodgson writes that the book completes "what may be termed a trilogy; for, though different in scope, each of the three books deal with certain conceptions that have an elemental kinship". It follows The Boats of the "Glen Carrig" (1907) and The House on the Borderland (1908). London: Edward Arnold, 1909. First edition. Limited edition. Signed by Artist.. Hardback. Near fine. Large thick 8vo. (10 x 7.75 inches). pp.xvi +287. 64 full-page colour plates each with letterpress tissue guard. 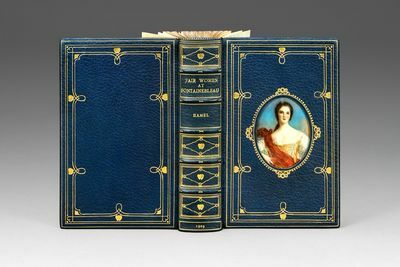 White buckram, gilt title to spine and front cover, gilt-ruled decoration to front cover and spine. White cloth slightly soiled. Top edge gilt, others uncut. Owner's name stamped in ink to front pastedown and rear free endpaper, and handwritten to front free endpaper. Trifle light spotting to endpapers. O/w contents clean and bright. Binding firm and square. 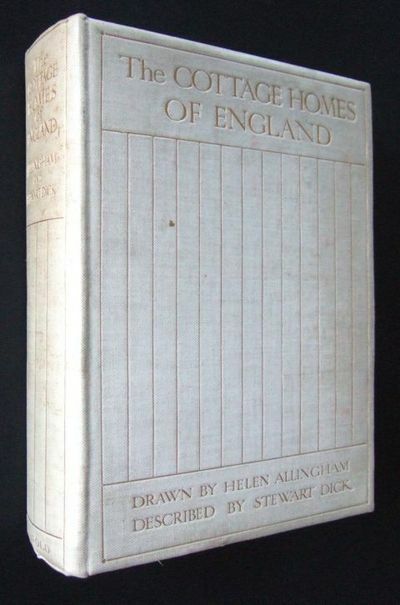 Number 248 of an edition limited to 500 copies, signed by H. Allingham to the limitation page. Handsome book. A Near Fine copy. We reduce the default shipping charge for lighter books or use it for a tracked service if books are expensive or uncommon. We pack books securely in boxes, or corrugated card or cardboard, and protect corners with bubble-wrap. 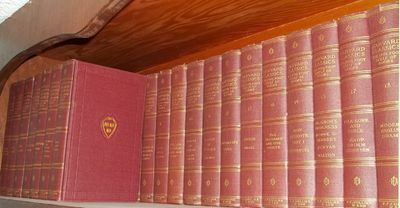 THE WRITINGS OF MRS HUMPHRY WARD (16 VOLUME SET, COMPLETE). Slevogt - Cooper, James Fenimore. Lederstrumpf-Erzählungen. Übersetzt und bearbeitet von K(arl) Federn. Mit Original-Lithographien von Max Slevogt. Boston: for members of the Bibliophile Society. 1909. 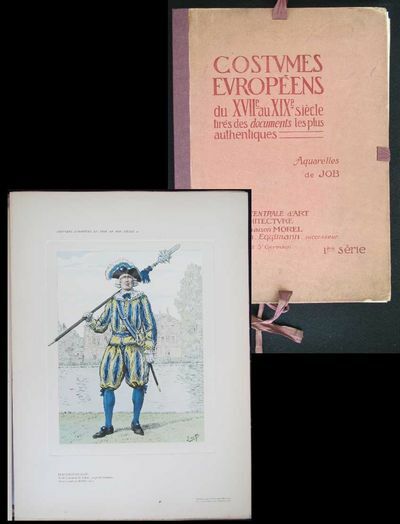 "Edition limited to 483 copies on Holland hand-made paper, 2 volumes, large 8vo, the first of two ""forms"" noted by BAL with two title pages in volume I (etched and engraved), and a corresponding ""Memorandum"" slip laid in; pp. 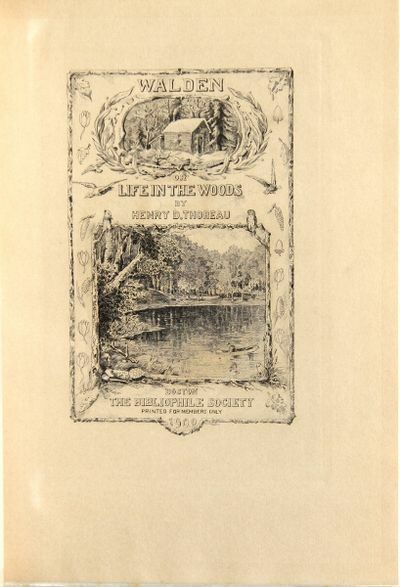 xxxii, , 208; , 263, ; errata slip, limitation certificate in each volume; portrait of Thoreau after a daguerreotype as etched by etched W.H.W. Bicknell; 2 facsimiles of the Walden MS., engraved headpiece of Thoreau's cabin at Walden Pond, 9 mounted photographs inserted, glassine jackets; a fine set in publisher's quarter vellum; edges of jacket of volume 1 chipped; publisher's slipcases (a little rubbed and scuffed, top of first slipcase missing), paper labels on spines. BAL 20147: ""A revised edition based on the manuscript then in the possession of W.K. Bixby and, according to the Prefatory Remarks (p. ix), containing upwards of twelve thousand words omitted from the printed editions.""" Stigand, Capt C H & Lyell, Denis D.
London: Horace Cox, 1909. First Edition. Hardcover. Very Good. 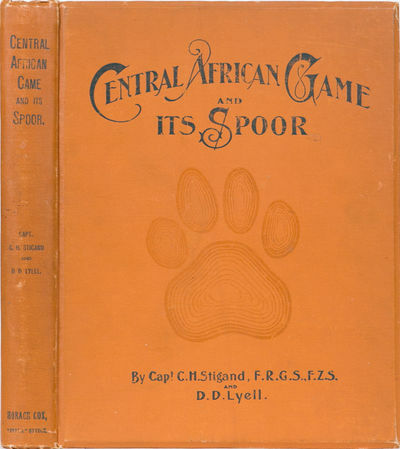 315 pp, ill. incl life sized photos of game tracks (one fold out plate of elephant track). When two of Africa's foremost hunter/writers team up you get one of the finest African big game hunting classics. Chapters on stalking, shooting, how to find game etc. Orig. stamped cloth, beveled boards. Little better than vg with slight corner wear and front upper endpapers separated. Good value for someone wanting a true first edition. London: J.M. Dent and Cpmpany, 1909. Full leather. One volume. Quarto. Gulliver's Travel Into Several Nations. Illustrated in color by Arthur Rackham. 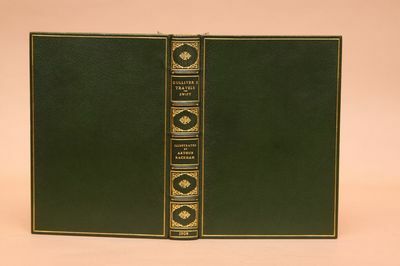 Bound in full green morocco by Bayntun, gilt panels, raised bands, all edges gilt, First Trade Edition. Fine. London: J. M. Dent; New York, E. P. Dutton,, 1909. As Represented in the Pictures and Engravings of the Time. Translated by M. Edwardes. With an Introduction by Grace Rhys. 3 volumes, octavo. 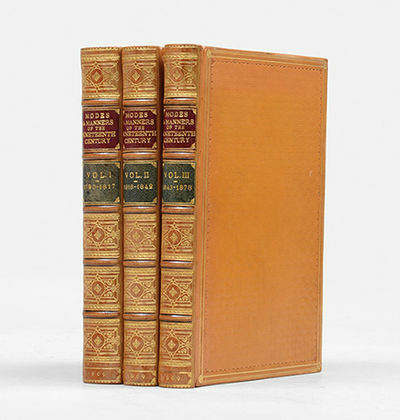 Finely bound by Sangorski & Sutcliffe in contemporary full tan calf, twin red and green morocco labels, spines richly gilt, raised bands, chequerboard design to sides in blind, enclosed within blind rolls and triple gilt fillets border with flower cornerpieces, all edges gilt, inner dentelles gilt, marbled endpapers. Illustrations throughout the set, including Chromolithographic and photographic plates. A fine set. 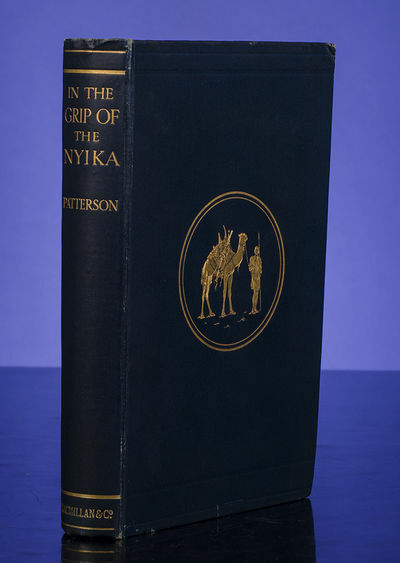 First edition in English, lavishly bound by Sangorski & Sutcliffe. Originally published in Germany in 1907, under the title Die Mode: Menschen und Moden im neunzehnten Jahrhundert. Wappen der Deutschen Souveraine und Lande. Albany, NY: State of New York, 1909. First edition. Very good clean copy with long tear repaired on th verso and tiny chips at one fold on map, inch tear to fore edge of certificate and along bottom margin.. Ink on drafting vellum with colored outlines. Docket sheet mounted to verso. In 1874, the Hudson Tunnel Railroad Company (soon named the Hudson River Railway Company) was formed to construct tunnels between Jersey City and Greenwich Village (the route originally to be about two miles commencing at a point under the Hudson River, in the westerly boundaryline of the state of New York, opposite the foot of Clarkson street, at the termination of the Hudson Tunnel Railroad Company of New Jersey, and thence running by a feasible route under the bed of the river and beneath the surface of the city of New York, to a point at or near the westerly side of Broadway between Prince and Eighth streets; from whence the line proceeds via Sixth avenue to Thirty-third street, New York) but stopped construction well before completion. The assets (land, partially-constructed tunnels, trackage, etc.) were eventually sold to the newly-organized New York & Jersey Railroad (incorporated on February 12, 1902), under the leadership of William G. McAdoo, who was later U.S. Treasury Secretary, and which then became the Hudson and Manhattan Railroad (1906). The original of this profile was drafted in 1891 (before the railroad collapsed), and the present certified copy was prepared by the Secretary of State's office on February 25, 1909, almost exactly one year after the official opening of the tunnel (the Pennsylvania Railroad's North River Tunnels, the second to burrow under the Hudson, did not open until late 1910). The reason that a copy of the map was requested is not known but what is known is that the railroad was seeking to extend the Sixth Avenue line later as well as other related projects. Perhaps the map was needed to settle some land issue or in some legal negotiations as the pencilled word "referee" appears after two sets of initials. The tunnels still carry a heavy load of PATH train commuters between Jersey City and Manhattan. Similar maps are difficult to locate. 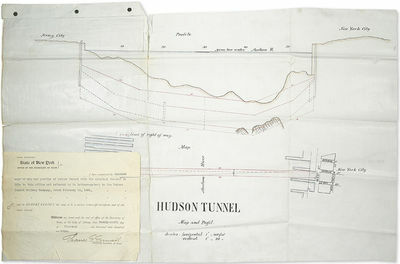 The closest, a printed "Map of Hudson & Manhattan Railroad Hudson tunnel system, January 1908," is located at the University of Chicago and the Jersey City Historical Society. Provenance: Collection of Gerald J. Levy. Den Haag, Eigen beheer, 1909. Rood marokijn (Studio ars libri) (oorspr. omslag meegebonden). Onafgesneden. Kop verguld. 84 p.*1ste druk. - Oplage: 60 ex. op Pannekoek en gedrukt in rood en zwart door Eduard verbeke. - Smetteloos ex. Stilleben mit Totenkopf und Banjo" originales Ölgemälde auf Leinwand ca.23x32,5cm; rechts unten signiert und datiert "1909"
- Maße im aufwendig gearbeiteten und blattvergoldeten Holzrahmen (35x46cm) der renommierten Münchner Fachwerkstatt Petzenhammer. ROBIDA, ALBERT. FRENCH. FRANCOIS I by Gustave Toudouze. Paris: Boivin 1909. Folio, pictorial cloth, all edges gilt, corners bumped and slight cover soil, VG. 1st edition. This is a lavishly produced book printed on heavy paper with each page individually hinged into the book. Illustrated with remarkably detailed and vivid full page color illustrations (some double-paged) by ROBIDA. Really a beauty with a magnificent pictorial cover. One of the scarcest titles in this series. Librairie Centrale d'Art et d'Architecture, 1909. 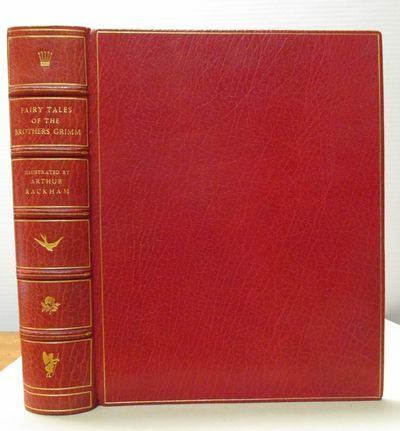 Hardcover folio with ribbon ties on the three open sides, bound in rose cloth along the spine over rose paper covered boards with red lettering, illustrated with 60 colored costume sheets. Text is in French. There is no date but appears to be circa the turn of the 20th century with a date of 1909 given by the World Catalog. The binding along the spine is new and has been neatly reinforced on the interior, ribbon ties old and fragile, boards are soiled wear in spots along the edges with the underlying boards exposed at the corners and damp marks that are more apparent on the rear, light general age toning of end papers and text pages, end papers and half title page lightly soiled, thin (less than a quarter inch wide) line of soiling along lower page edges. All illustrations are present and images clean. This is an over-sized for a book measuring approximately 16.5 inches tall by 12 inches wide. Images available. USPS confirmation used on all domestic shipments. Additional postage will be necessary for Priority or International addresses. . No Edition Stated. Hardcover. Good/No Dust Jacket. Illus. by . Mémoires pour servir à l'Histoire de la Société. Les Confidences d'une Biche 1859-1871. Tales from Shakespeare. Illustrated by Arthur Rackham. N.Y. & London 1909-13, Macmillan.Red cloth, spine head/tails. worn, 3 vol. set complete, 436+441+436p., index, 543 b.w. 33. photos, 14 maps, head/tail of vol. 1,2 worn,vol. 3 very good. mixed set New York vols. 1-2, London vol. 3. FIRST EDITIONS. A SUPERB PRIMARY RESOURCE AND EARLY EXPLORATION OF TIBET The documentary expedition of discovery to places yet mapped or explored by a westerner. The expedition consisted of some 37 Asian porters and followed ancient camel routes to the high country. This work begins with a departure from Sringar and progresses to Leh, then on to Tibet, over Karakorum and on into unknown country. He traveled through the forbidden lands, over the Trans-Himalaya, to the great banks of Brahmaputra, down the rushing Tsangpo by boat, visit with Tashi Lama, time with the Tibetans, Shigatse...Raga-Tsangpo, Linga Gompa, Nepal, voyage over stormy Holy lake, Tso-Mavang, the discovery of Indus source, on the Roof of the World, 30 days of storm, Bongba. * A fascinating primary source, adventure, exciting experiences, capture by bandits, 40 degrees below, deep snows, rushing rivers, and dry deserts. * Dr. Hedin's works are lucid and his amazing stamina, courage and high regard for scientific research has left us with a fantastic record. * The work is complete in 3 volumes; volume 1, 2 issued 1909, volume 3 in 1913. It was published in both New York and London at the same time. Finding the complete three volume set has become difficult. Often sets are composed of different place, the contents regardless remains identical. * REFERENCES: Marshall 2098 Yakushi HO3c * Color scans can be sent by email. Images displayed may not always be the exact photo of the copy in stock for sale at any given time. If you want to see the exact image of the book or edition in stock today, please request this by email. . Photos of most of our books are posted to our . 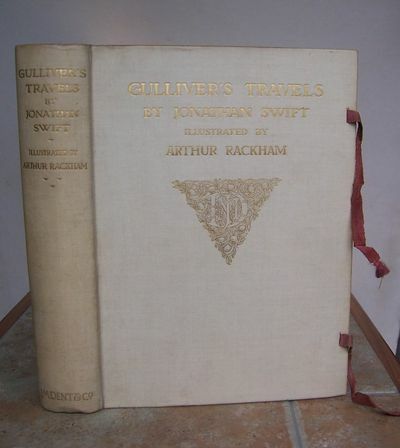 GULLIVER'S TRAVELS into several remote nations of the world. Signed Limited edition. London, J. M. Dent. 1909.. FIRST EDITION 1909, SIGNED LIMITED EDITION, 4to, 295 x 215 mm, 11Â½ x 8Â½ inches, white buckram, gilt lettered and decorated upper cover and spine, gilt illustrated marbled endpapers, top edges gilt, others uncut, red silk ties, 291 pages. 13 splendid mounted colour plates, frontispiece with tissue guard. 2 full page black and white illustrations, 28 head- and tailpieces. Silk ties a bit faded, small neat old bookplate on front pastedown, tissue guard to frontispiece slightly foxed. Contents very nice. Near Fine excellent copy. Large paper edition de luxe limited to 750 copies SIGNED BY THE ARTIST, this being No. 216. There is an extra coloured plate in this edition not in the trade edition, it is the last plate in the book page 256, 'The Yahoos' as stated on the publisher's tipped-in Notice which is still present. Riall states that the extra plate is 'The Lilliputian tailors...' on page 65 and that the plates have tissue guards but in fact only the tissue to the frontispiece is found in the Limited De Luxe edition of Gulliver. He also mentions 7 chapter headings and tailpieces, but there are 28 (see page 91). MORE IMAGES ATTACHED TO THIS LISTING, ALL ZOOMABLE, FURTHER IMAGES ON REQUEST. POSTAGE AT COST. London: Eveleigh Nash, 1909. Full leather. One volume, Octavo. Cosway Style Binding. Fair Women at Fontainebleau. Saint (miniature cameo portrait illustrator). Bound in full blue morocco with matching gilt tooling to both front and rear boards; front board has insert hand-painted color centerpiece portrait of Princess Victor of France under glass and discreetly signed "Saint at the center right; gilt tooled spine additional decorated with five raised bands and stamped within second compartment from head plus 1909" dated stamped just above heel, all edges gilt, A splendid cosway style binding. Fine. Honderd verzen en Okeanos. Met een fraaie portret-ets door Willem Witsen.Luxe minder ex. Amst., Versluys, 1909. 4to. Blindgestempeld en rijkverguld leder, goud op snee (ontw. theo nieuwenhuis). Met vignetten, initialen en gedichtnummers door dezelfde. 146 p.*Gedrukt op Japans papier in een beperkte oplage t.g.v. Kloos' 50ste verjaardag. [Dit is nummer 9]. - Ingetipt is de aankondiging van de publikatie van deze uitgave: Verzen van Willem Kloos. Wij hebben de eer u mede te deelen, dat eene uitgave van de schoonste gedichten van Willem Kloos, door den dichter zelf gekozen, in het voorjaar van 1909 verschijnen zal. ... Dubbelzijdig blad, ondertekend door H.J. Boeken, Herman Gorter, T. Nieuwemhuis, Arthur van Schendel, W. Versluys en Willem Witsen. - Ex libris van schutblad verwijderd met restsporen; de lederen band is in goede conditie met een miniem vlekje op voorzijde.